Of course you can always Preorder with B&H Photo or Amazon if you prefer. There will be a lot of people chasing after the above offer, but keep in mind that you must order before May 25th to qualify. 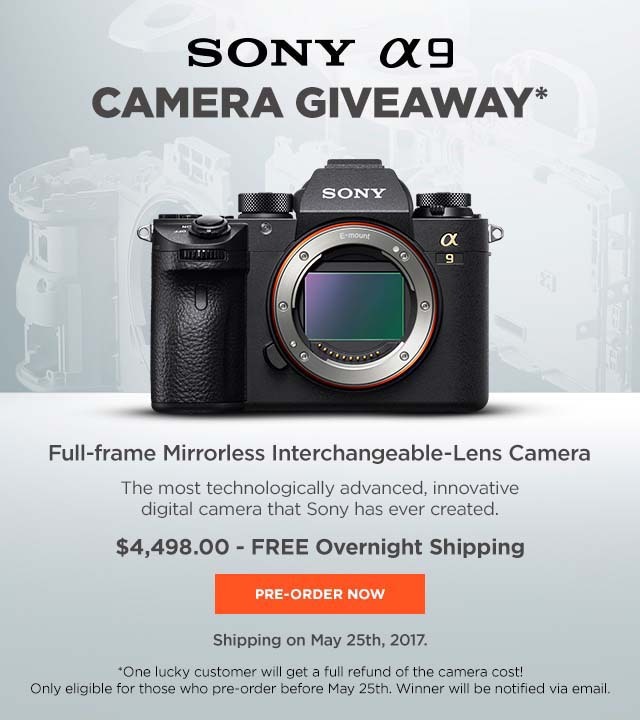 This entry was posted in Deals, Sony a9. Bookmark the permalink. Trackbacks are closed, but you can post a comment.